Amsterdam, May 8th 2018 - Dutch music video company XITE has reached agreement with U.S. OTT provider fuboTV to launch three new music video networks in the United States. The networks, which broadcast the most popular music videos, are now available through fuboTV and are completely localized. XITE has launched three different networks today: XITE, XITE x Vibe and XITE x Rock. XITE: Featuring the most popular hip-hop, R&B, pop, rock and dance music videos that are burning up the charts, along with the rising stars of tomorrow and hits from the recent past. The launch on fuboTV marks the first time XITE is available as a linear channel in the US, and is curated daily by a team of music experts with their finger on the pulse of the American music market. XITE x Vibe: The hottest blend of rap, trap, mainstream and alternative hip- hop and R&B music videos, 24/7. Featuring artists that are currently breaking chart records, to recurrent hits from years past, plus up-and-coming artists just waiting to be discovered. XITE x Rock: Only the best mix of mainstream and hard rock with cutting- edge alternative and indie rock music videos, all day and all night. Ranging from new, chart-topping hits, to classics from the last decade by instantly recognizable artists, and featuring equal doses of fresh videos by rising stars. fuboTV is one of the fastest-growing live streaming TV providers in the U.S. 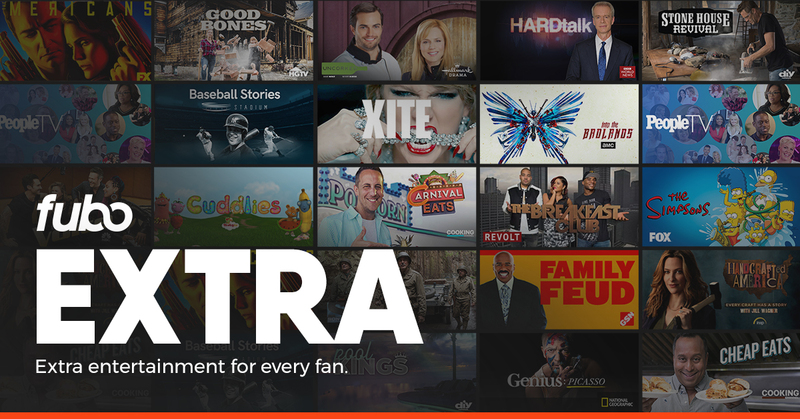 It brings its subscribers access to the most sports content of any similar over-the-top (OTT) service, along with popular entertainment and news programming, available to be viewed across devices and either live, on demand or via cloud-based DVR. XITE is a music television company founded in the Netherlands. XITE’s music television channel launched in 2008 and is distributed to 15+ million households in the Netherlands, Belgium, Germany, Qatar, Canada, and the United States. In 2015, XITE massively changed the way to watch music videos with a world’s first: Personalized Music Television. This service allows viewers to like and skip through music videos, search XITE’s vast catalog, play a channel curated by a team of music experts or design their own channel based on genre, era, visual style and mood.